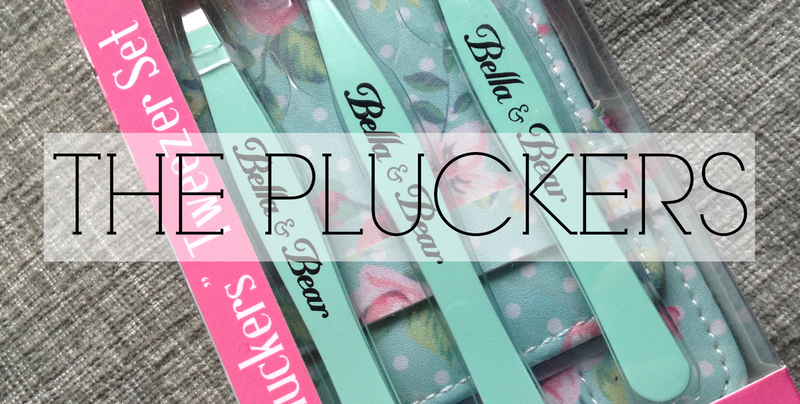 After trying a few products from Bella & Bear in the past, I leapt at the chance of trying out their new 'The Pluckers' Tweezer Set*. 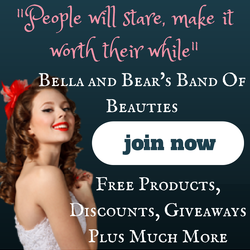 As I'm sure you're all aware, I adore this brand. Its cute and quirky packaging, unbelievable value for money and the nicest customer service team I have ever countered make this brand a win for me. And yet again, they haven't disappointed me. After trying the Hair She Goes Set* a few months back, I deemed their tweezers to be the god send of all tweezers, but move side, there's something better in town. Ladies (and gents) I present to you 'The Pluckers' tweezer set. It comes with three types tweezers, each one being designed to help remove every annoying little hair, and the result? Beautiful brows! 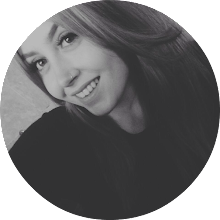 They are so precise and manage to grab hold of every hair, which is unlike most tweezers Ive used before, and the pointed one is ideal for removing ingrown hairs as well. 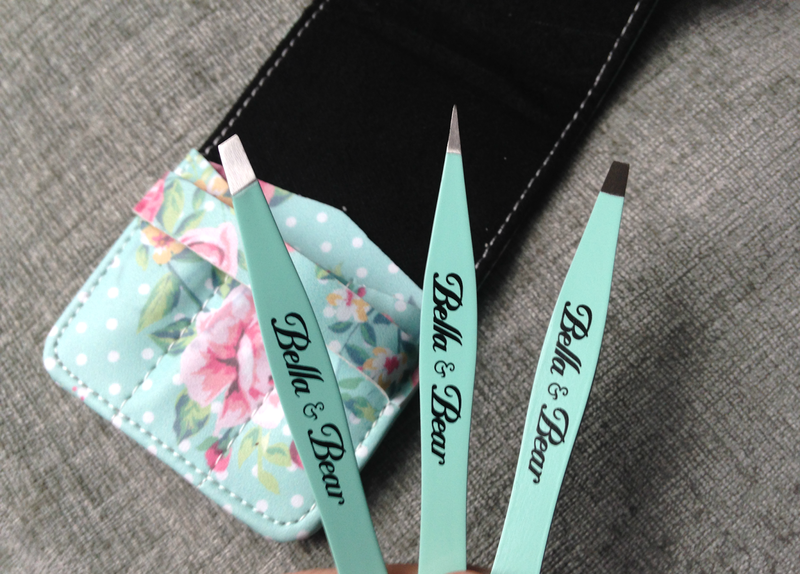 The standard straight tweezers are good for removing hair from around the face, especially the chin or bikini line and the slanted tweezers work wonders for precise work around the brows. I love the little travel case you get with them too. Like always, it has the gorgeous floral print and it proved to be ever so handy. I always carry a pair of tweezers with me because you'll never know when you need them; so this case is perfect, compact and pretty. 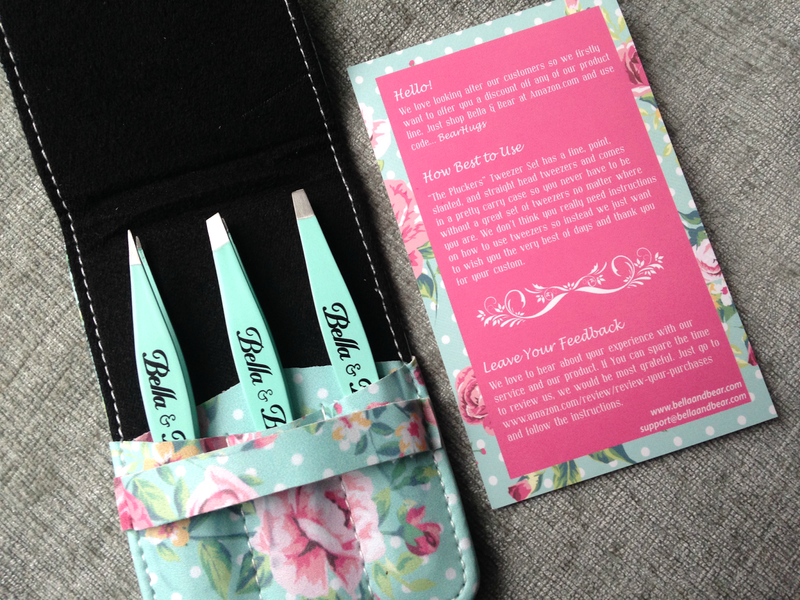 I don't know what else I can says apart from how much I'm amazed by then and I really cannot recommend these tweezers enough!